When words escape us, the beauty of flowers offers comfort to the family and serves as a tribute to the departed. 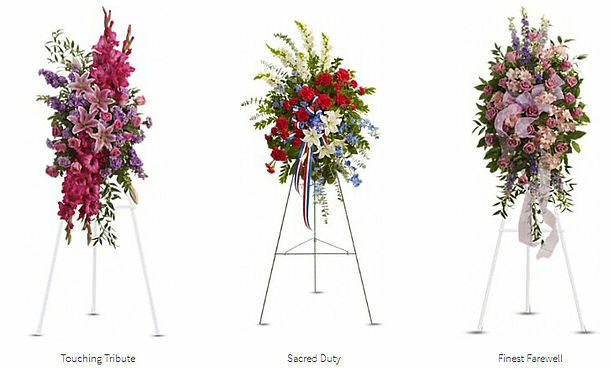 Flower City Florist can create a lovely display of sympathy arrangements to show your devotion and honor the departed. We offer a wide selection of floral arrangements, casket sprays, and standing sprays that celebrate a life well lived. We work directly with the funeral home to ensure that your delivery is timely and accurate. Plants and dish gardens are an ideal, long-lasting memorial for the family. Even if you can’t be there in person, your floral arrangement will be a warm reminder that your thoughts are with family and friends.